Am I crazy or will these 18x9 +35's fit up front? I've been driving my FD on the stock wheels for close to 10 years and it's time for a change. Yes, I know the tire calculator says no to 18x9 +35 with 255's. I am looking to stuff as much rubber under my fenderwells as possible and would rather not spend a boatload... enter the world of 2005+ mustang wheels. Looking at a set of 18x9 +35 , 18X10 +43 SVE Drift wheels. They are $570 for the set... new and shipped. Mustang guys seem to love them as track/beater wheels. With a set of hankook tires I would only be in $1500... a little more and i could have star specs. I would run a 255/35/18 front and 275/35/18 rear. Now, here's how I "determined" that they will fit. I used a set of 30mm spacers to create a 16x8 +20 offset up front with 225 falkens. The tire calculator says this should sit 1/8" further out than the 18x9 +35 with 255 tires. 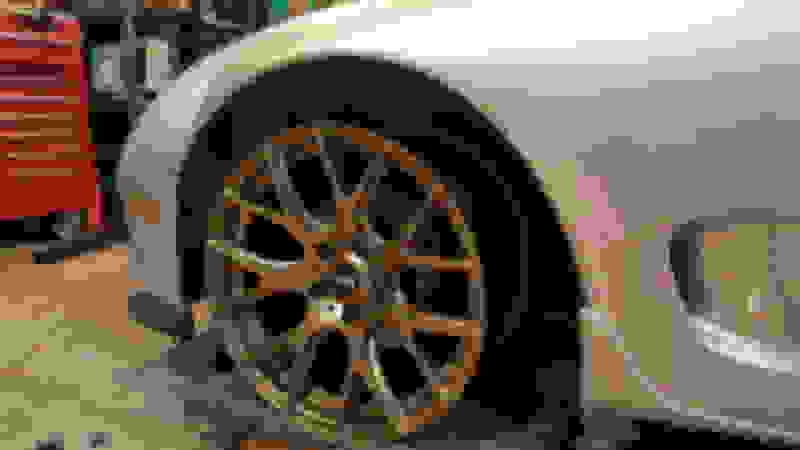 Another caclulator says the 18X9 +35 with 255's will run 3mm futher in than the stock wheels I spaced out. The 255 35 18's are only 1/8" larger in diameter than stock tires. 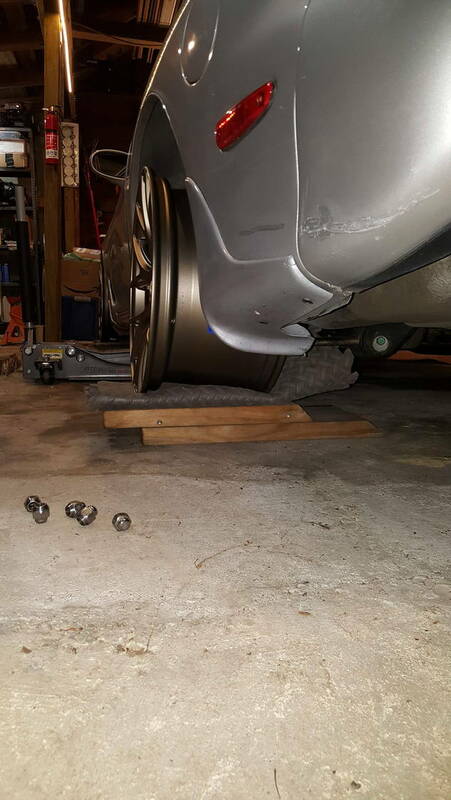 Next, I put the wheel with 30mm spacer on, jacked under the wheel, and compressed the spring until I was lifting the car with the bump stop (I have stock fenders, eibach springs, and miata bump stops). I could not get the wheel to come anywhere close to the fender. Closest point was the liner screw head and I could still get my index finger between that and the tire. Tried lock to lock and the only potential rubbing I saw was on the fender liner behind the oil coolers. Am I missing something? Anything else to check before I do something stupid? It really depends on how much negative camber you are running and how wide your 255/35-18 is as you are on the edge of having to roll the front fender lip to fit a 255 on a +35 offset. Every 1 degree of negative camber tucks the tire in ~6mm at the top. The 18x10 +43 fitment would fit a 255/35-18 up front better than the 18x9.5 +35. The 8mm toward the correct offset allows you to run 16mm wider tire (8mm on outer fender side and 8mm on inner suspension side. Note: both 265/35-18 and 275/35-18 are too tall to run up front and will rub the fender liner and possibly the fender while turning- so you are still stuck with 255/35-18 on stock fenders or 285/30-18 with a fender lip roll. The fronts offered are actually 18x9 not 18x9.5. Still, I see what you mean about running the 255 35's on the 18x10's up front. That would net me more fender clearance and the wheel is better centered between the fender and spring. Now I am leaning towards the 255 35's up front, maybe all around. The car is used for street/autocross and is pretty clean with mostly original (brittle?) paint, so I'm not excited to roll the front fenders if I can help it. I already have a crack from PDR, so I'm not optimistic about a roll. I could run 275 35's or 285 30's in the rear, but that would mean giving up the option to rotate. Those tires are 4lb heavier too. Your thoughts on those wider rears vs square? 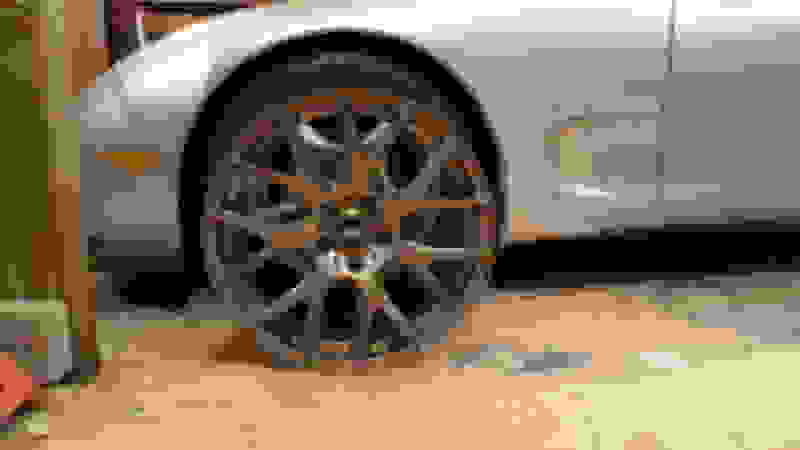 Well, I prefer a square wheel/tire fitment myself so there is less understeer and I can rotate race tires around when they are getting worn more in one corner from an asymmetrical course layout. I put 17x8.5 +30 with 255/40-17 Nitto NT01 from my FC on my FD in the off season when it was stock class auto-x car (stock front fenders, max front camber) and the tire did contact the front fender lip. The +35 offset provides 5mm more room from tire to fender, so it would be really close. 255/35-18 on 18x10 +43 all around sounds like a good fitment for stock wheel arch FD to me. Awesome. Thanks again. 255/35-18 on 18x10 +43 all around it is. Appreciate the feedback. That makes sense from my reading and calcs. Going with the 255 35's on 18x10 +43 up front. 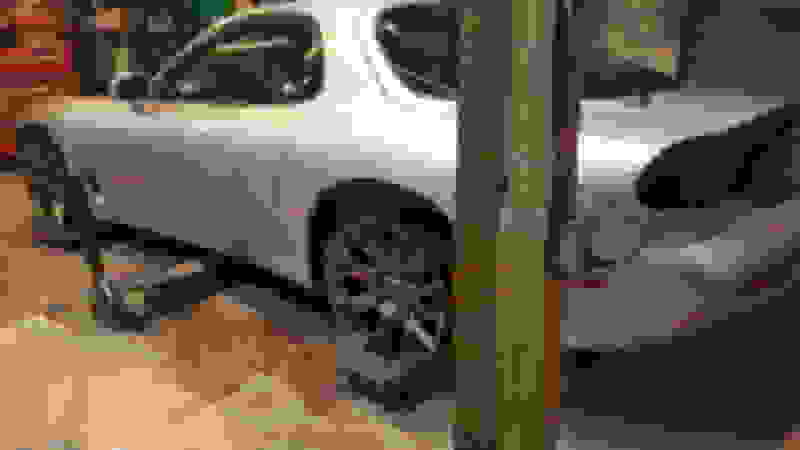 I am not going beyond the eibach ride height and I have some pretty tall bump stops in there that limit the suspension travel. I did it accidentally out of cheapness, but tall bumps is a trick some of the E Street class Miata autocrossers used to limit travel/stiffen their stock suspension. I spaced out the stock wheels 30mm, which should have hit and there was still clearance cuz I was riding on the bump stops. Last edited by alexdimen; 05-23-18 at 07:52 AM. Well... went ahead and ordered the sve drifts in bronze once I saw that they're doing a memorial day sale. 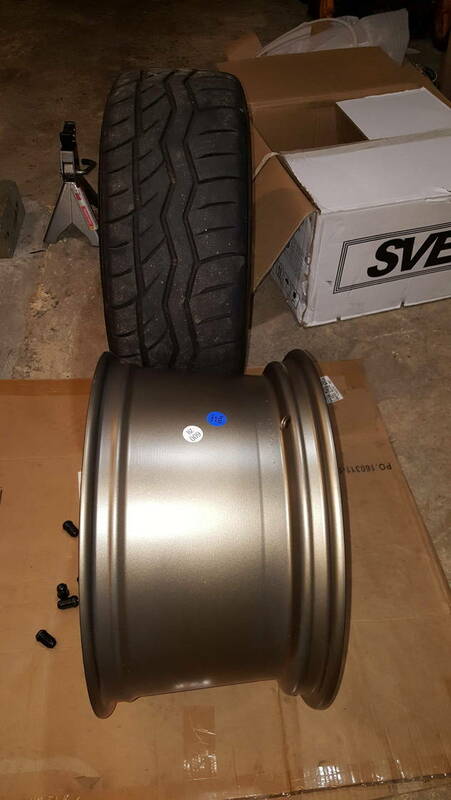 I was able to get the wheel kit with 4 18x10's in bronze without lug nuts for $499 shipped. DAMN. Good point. I'm pretty bad about rotating tires and I've always heat cycled and aged out tires before the tread wears. I had a set of gen 1 star specs that I finally retired last year if that tells you anything lol. They were getting SKETCHY! I put maybe 5k street miles a year on the car and try to do at least a few autocrosses. That's even harder to do now with a baby in the mix! For both square and non I was looking towards the Hankook R-S4 as a street/autox tire. Seems to have the widest tread of all the 200 tread wears at 9.5" and a good section width to protect the wheel. It's also a bit shorter than the others. A pound heavier than ZIII's tho. Good reviews and value. Any experiences? RE71R is faster... I just got a set in 245/40-17 for the BRZ, won my class in time trials at New Hampshire Motor Speedway couple of weekends ago over another BRZ on 235 NT01s. Congrats! That sounds like a lot of fun. So you have the LS FD, S2K, and a BRZ?! Wheels came. 18x10 all around. I am pretty impressed with the quality and finish. They do have a DOT and VIA on the back of the spokes along with a 690kg load rating. I was a little nervous about the color, but I really like the combo - and it looks even better in natural light. 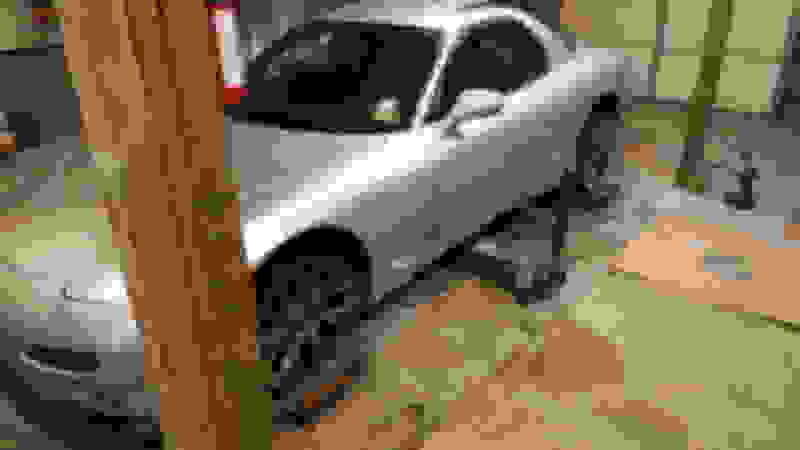 Reminds me of the silver Spirit R RX8 with bronze wheels that they got overseas. I really want to run the RE71R's... Buuut I've read horror stories about the tread wear on the tire rack reviews. Like 3,000 street miles + a few autocrosses = CORDED. Which is what i would be doing. I'd really like to drive these on the street and autocross so I'm leaning towards the RS4 kooks again because they're an actual 200 treadwear tire. Any other recommends? Last edited by alexdimen; 05-31-18 at 12:15 PM. 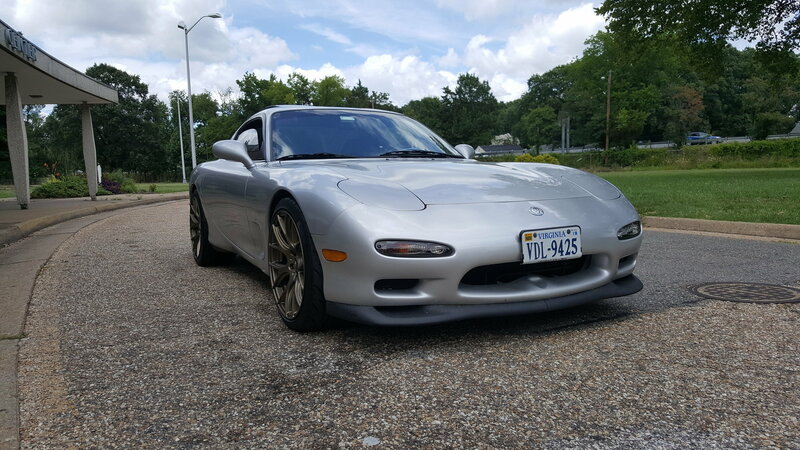 I was able to get 6 track days and 5k street miles out of NT01s on the RX-7... So I'm going back to NT01s to drive the BRZ to/on/from the track (will run my winter tires the rest of the time). Of course RS4s are a much better option for a real street tire with some hydroplaning resistance if the last few tenths of a second on track aren't critical to you. Wowwww... yeah that's probably not worth it for me to chase time of the day at the local autocross. I'm trying something completely different that I'm slightly embarrassed about based on the brand, but they are 120 TW semi-slicks and got rave reviews abroad. I decided to try them based on the fact that this set of wheels/tires is really an experiment aimed at seeing how cheaply I can cram soft wide rubber under the stock fenders for ASP autocrossing. If I like them in person and they fit in there I'll have the tires mounted and report back with my flame suit on and hopefully some good results. If he tried to run too tall of a front tire like a 265/35-18. The FD fits up to a 25" diameter front tire in front. Thanks for all the help. Really liking this wheel/tire setup so far. Tires are NS-2R semi-slicks with 120 TW rating by Nankang. A good number of people in the UK have been using them for track days I could not find a single bad review except for wet driving, which I never do. For almost half the price of RE71R I had to try them. Wheels and tires balanced out great and feel excellent at speed. I noticed minimal difference in acceleration and steering feel going to this heavier combo. Turn-in is insane and I can already tell these will have more grip than my skinny *** in touring seats can handle. These tires run wide (15% wider according to the specs). 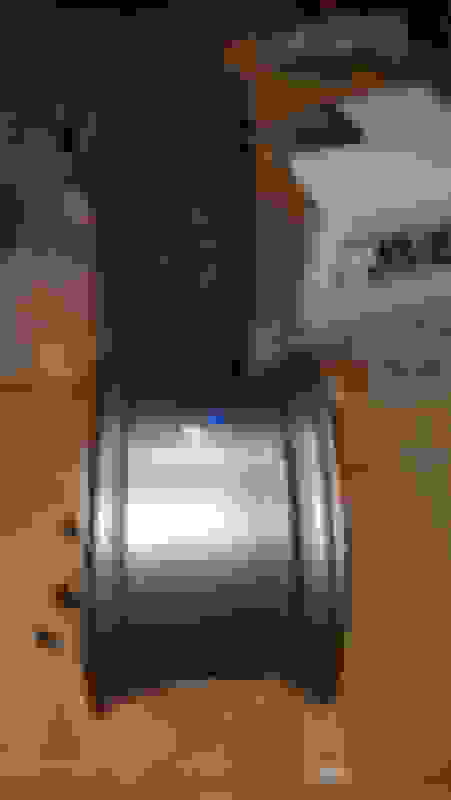 There is some rubbing up front with the wheel straight and full compression on DS. It's happening where the fender tabs push the liner further down. I'm putting new upper shock mounts in soon because my DS mounts has compressed. We'll see if that alleviates it. 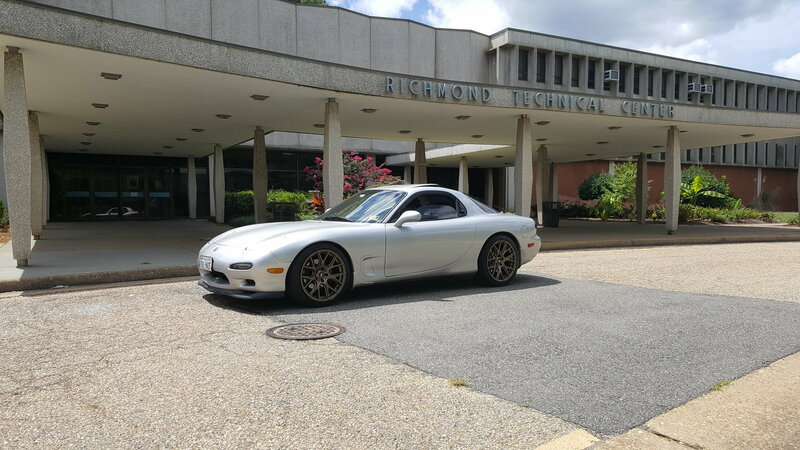 I think those look great on FD. Thanks! Glad I found your old thread about cheap mustang wheels and checked them out. Shock mounts and -1.5 camber all around took care of my rubbing issues. Camber is close to correct, but I'm still working out tire pressure - they seemed to cool off in the middle around 30 psi. Did an autocross the other day in 90 deg temps with -1.5 deg camber all around and found them to grip well. I haven't found the limit yet and still ran an OK time on a really tight course (37 sec). They seemed even and predictable. For sure they are no Hoosier A7's, but for dual purpose tires and 1/3 the price I really can't complain. I have the 120 TW version and I think my Falken RT are softer before warming up. I think these tires need some heat in them to shine. I'll try a few more races with them, but I'm thinking about buying a second set of these SVE's and throwing some A7's on them. I'd just have to decide if I drive on them 3 miles to the autcrosses at RIR or get a hitch. I imagine the sand blasting isn't any worse than the autocross lot. Do you have your fenders rolled with the 285's? What kind of hitch do you have? Wow, I get more than three track events out of Hoosiers, that's pretty bad. The wheels look great... I think rotating is overated for street tires, I run 255/275, but for track its essential if you want them to last. I even flop them on the rim at half life. Ran autox practice saturday and autox sunday. I don't hate the tires, but I am seriously underwhelmed with them as a "120 TW" tire. Wish I'd just gotten the RE71R's and dealt with the wear. On Saturday I probably did 20+ runs. The tires felt decent towards the end of the practice session and I started running times withing a few tenths of a turbo NSX on slicks. I was able to throttle steer and get front bite and rotation by letting off the throttle going into turns. Sunday I just could not get heat in them inside of the 5 runs. Under-steer was a problem. My buddy who ran TOD with 305 A7's on a Z06 had hot tires after his second run. Mine were barely luke warm by the end. I did a ride along with him and was blown away by the grip. It felt like it defied the laws of physics. Now that's not really a fair comparison, but I did not see anywhere near that level of grip. The car drove well and had zero issues, so I'm happy about that. I still think these are decent street tires, so I'll keep them on the wheels and get a set of hoos if I decide to keep sinking more time and $ into this. Quick Reply: Am I crazy or will these 18x9 +35's fit up front?